﻿﻿We support the local sustainability of natural resources, including wood, wind, solar, water and air quality, local food production, maintaining forest health, and the preservation of agricultural lands. The Teller-Park Conservation District partners with local organizations to promote awareness of issues related to Sustainability. Some of these partners include The Harvest Center, the Coalition for the Upper South Platte, the Colorado State Forest Service, and others. Teller-Park Conservation District is the proud adopter of the Gardens at Woodland Park's History Park, located behind the Rampart Range Library at 218 E. Midland Avenue. 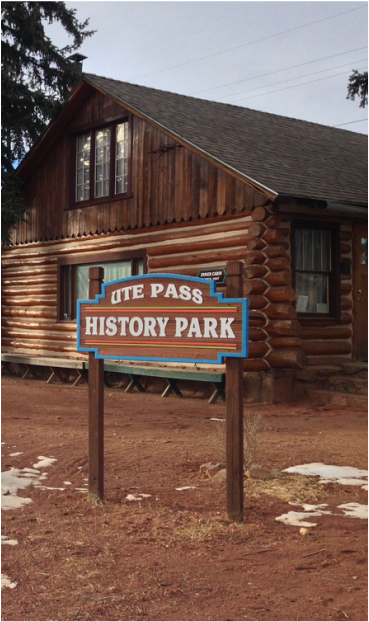 History Park is home to several historic buildings that were once a vital part of the Woodland Park community, including three residential buildings, the town’s jail, and a cabin dedicated entirely to trains. TPCD installed and maintains the Pollinator Garden and Pioneer Vegetable Garden at this location, which serve as reminders to the public that locally-grown food was, and still is, a critical component of the local food hub. Volunteers are always welcome to assist with this effort! Contact us for more information.